We are both historians and international relations scholars at the RAND Corporation. We're also fans of HBO's series Game of Thrones. As we join millions of others in eagerly waiting for the final season to premiere this Sunday, we're reflecting on one of the show's central themes: rival views of the nature of power and justice. Or, to put it in terms immediately recognizable to Thrones fans, the contrast between how House Stark and House Lannister view the pursuit and use of power. The Starks believe that the range of possible action is circumscribed by norms and rules. They take seriously the notion of honor. Oaths are to be upheld on pain of death. It's no wonder that viewers first meet the patriarch, Ned Stark, as he prepares to execute a member of the Night's Watch who has broken his oath. Ned relishes the idea that he is enforcing the code of the Night's Watch, and, by wielding the sword himself, correctly fulfilling his duty as warden. “Law is law,” says Ned's master-at-arms in explanation. International relations theory describes people and states who believe the world is governed by shared norms and values as institutionalists. To an institutionalist, a United Nations Security Council condemnation, for example, is a powerful act. It declares a state to be outside the bounds of these norms and values. As the institutionalists of the Thrones universe, the Starks believe in gaining and using power only according to the rules of Westeros they have internalized. If they stray, they risk losing their honor. The Lannisters operate by different rules. They are extreme realists, a group that holds that “the strong do what they will, the weak suffer what they must.” “Power is power,” is Queen Cersei Lannister's credo. This gives them a tremendous advantage over the Starks. For example, Ned believes he's doing the right thing by warning Cersei that he plans to go public with his knowledge that her children are illegitimate heirs; he expects her to take her children to safety. Instead, Cersei orchestrates Ned's arrest, leading to his execution. Similarly, Catelyn and Robb Stark place their trust in Walder Frey after he invites them to share bread and salt. At the Lannisters' behest, Frey surprises Catelyn and Robb by violating the laws of hospitality and murdering them. The Lannisters also twice deploy wildfire—that volatile green explosive—in acts that are shocking even in a society inured to violence. 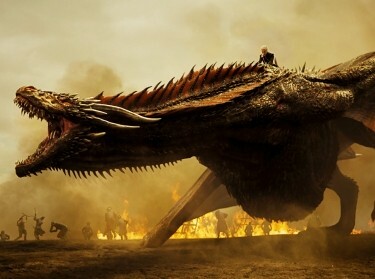 Tyrion uses it to roast Stannis Baratheon's fleet and save King's Landing, while Cersei exterminates hundreds of her rivals who have gathered in the Sept of Baelor. In some ways, Thrones seems to side with the realists. Arya and Sansa Stark are the family's weakest members at the beginning of the story, but they evolve. Little Arya becomes a stone-cold killer. And Sansa, who initially dreams of being a fairy-tale princess, defeats Ramsay Bolton and feeds him to his dogs. She even outmaneuvers Littlefinger, a notorious schemer. “There is no justice in this world,” Littlefinger once instructs Sansa, “not unless we make it.” Sansa eventually throws those very words back at him, as she orders his death at Arya's hand. The show tellingly treats Sansa's evolution as progress. “She's a lot smarter than she lets on,” Tyrion tells Jon Snow. “She's starting to let on,” Jon replies. On the other hand, several characters move in the opposite direction. Jaime Lannister and the Hound, initially unbound by morals or norms, become better men than even they are willing to admit. After beginning the show by throwing a child from a window to keep his incestuous relationship with his sister a secret, Jamie rediscovers his moral compass. And the Hound, once driven by hate, finds inspiration in religion and joins the fight against the White Walkers. It makes sense that, as the final season begins, nearly all of these characters are converging on Winterfell—the seat of the Starks—and now of Daenerys Targaryen, who is neither Stark nor Lannister. In Daenerys, the show hints at a middle ground between naïve and dangerous idealism and a realism unconstrained by morality. Daenerys is determined to build a better world, but she's often skeptical about how refraining from violence will help her accomplish her objectives. She could have sacked King's Landing on the first day of her invasion of Westeros. But she holds back for fear of turning the city to ash, as her pyromaniac father aspired to do. Daenerys comes to rue this decision. It enables Cersei to destroy several of her allies before Daenerys finally takes to the field on her dragon and incinerates a Lannister army. The battle over, she burns two men alive to make a point. Yet Daenerys still displays a drive to make the world better. This earns her a large and diverse following, despite her bloody-mindedness. Thus, one ultimate lesson of Game of Thrones may end up being that the choice is not between Ned and Cersei. You don't have to choose between a dangerous idealism and an unrestrained realism. 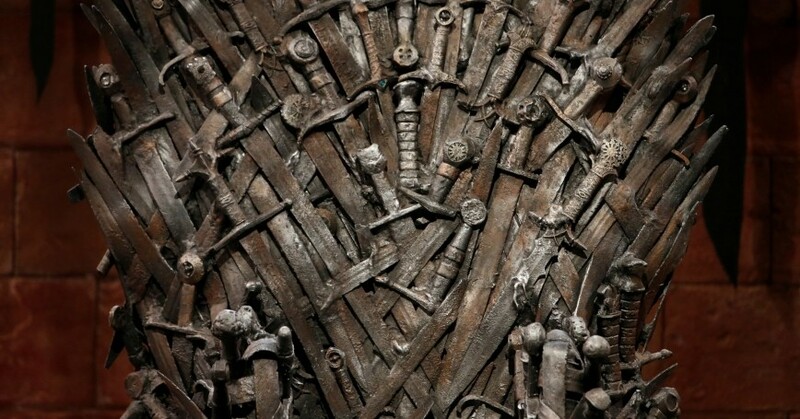 There is a wide space in between, and it is there that Westeros may yet find stability and justice. Rebecca Jensen is a policy analyst and Michael Shurkin is a senior political scientist at the nonprofit, nonpartisan RAND Corporation.